A concert that will rock the Melbourne Town Hall and an audio walking tour exploring Chrissy Amphlett's childhood in Geelong are among the five music history projects that have been supported through the first round of the Victorian Government's Rockin' The Laneways program. Minister for Creative Industries Martin Foley today announced the five grant recipients that will share in more than $80, 000 to undertake projects that celebrate, or uncover Victoria's music history. Part of the Victorian Government's $22.2 million Music Works initiative, the program invited applications for projects across the state that brought Victoria's music history to life in innovative ways, enlivened public spaces and created a draw card for music lovers from near and far. The supported projects include the creation of a digital map that explores significant music sites in Ballarat; a music and art festival that explores the music heritage of the Mornington Peninsula; and a concert that will reimagine the many famous performances that have graced the stage at the Melbourne Town Hall. An audio walking tour will explore the life of Chrissy Amphlett, taking in sites in Geelong and Melbourne, and an online documentary and accompanying walking tour of St Kilda will highlight the role the seaside suburb has played in the development of Australian jazz culture. While the projects take a look at the past, each is firmly based in the present. The projects will involve more than 40 Victorian musicians working alongside more than 90 people currently working music industry. Applications for the next round of Rockin' The Laneways will close on 20 March 2017 for projects and activities taking place from 1 July 2017. Development and release of St Kilda & All That Jazz, a digital documentary and music heritage tour that will include an interactive map pointing out key locations of St Kilda's jazz history from the 1920's until today. Development of Ballarat SongWays Music Mapping, a comprehensive digital map of spaces that have links to Ballarat's rich musical heritage. Presentation of Swell 3.0, a music and art event that will explore and celebrate the live music heritage of the Mornington Peninsula. 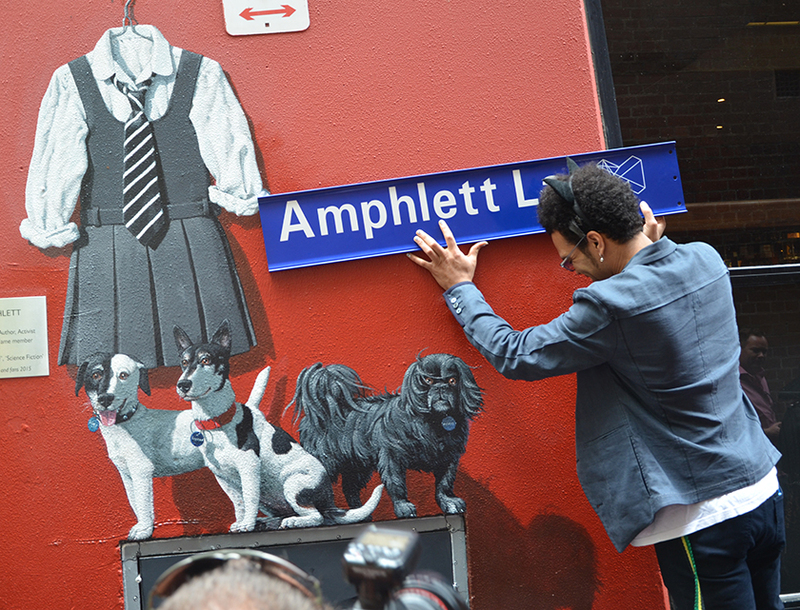 Development of a Chrissy Amphlett Melbourne Podcast Tour, an mp3 audio walking tour that will start at Amphlett Lane in the Melbourne CBD and will take users to places of significance in Chrissy Amphlett's life around both Melbourne and in her hometown, Geelong. Presentation of Pause, Rewind - A Melbourne Town Hall Retrospective, an evening of performances that will pay tribute to the music legends that have graced the stage of Melbourne Town Hall.